Well, bourbon and whiskey in general are the bee’s knees today. Everyone wants to try their hand at it. Rush Hour, Rush Hour 2, and Rush Hour 3 director Brett Ratner is no exception. After buying the Hilhaven Lodge, an exclusive home in Beverly Hills which has been owned by many a star of the silver screen, he shortly thereafter decided he wanted a whiskey to go with it. Which is never a bad idea, except for maybe driving a car. The Hilhaven Lodge’s marketing firm reached out to us to see if we were interested in trying a sample. THE ANSWER IS ALWAYS “YES!” Do you understand the words that are coming out of my mouth?! As we often joke, our favorite bourbon/whiskey is whatever you’re buying. 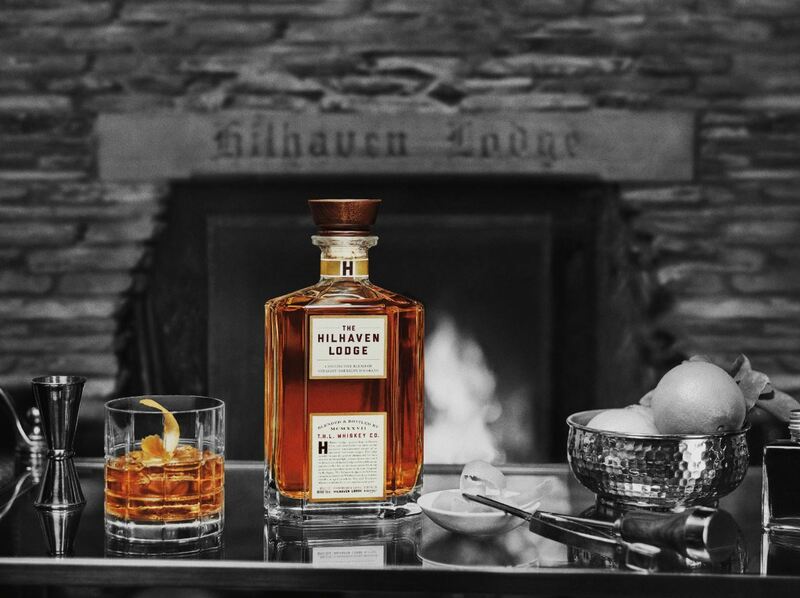 Interestingly, The Hilhaven Lodge was sent a cease and desist letter from none other than Heaven Hill, claiming that there would be confusion in customers’ minds regarding mixing up the two names. Ratner then sued to end the trademark dispute, which apparently was successful, as we now have The Heaven Hill, err, the Hilhaven Lodge whiskey on the shelves in several US markets. For a fuller dish, see this article from the Hollywood Reporter. That was all back in early 2015. Fastforward a year and a half and through one crazy presidential election, and here we are, tasting and reviewing it for our wonderful listeners and readers! Bottling: Elegant with a wood cork. Attention to detail matters, and the bottle looks slick. Mash bill: Unknown. It is a blend of three whiskeys: a bourbon, a Tenneessee whiskey, and a rye whiskey. The ratio is also unknown. Darren: Young, corn with definite hints of rye. No strong scents. Chris: Sweet notes of salt water taffy, butterscotch, and red fruit. Some corn/grain. Mostly light sweetness. Darren: Light. Light bodied. Less overpowering corn than comparable young-aged bourbons (likely rye influence). Very slightly astringent on the very back. Chris: Thin all across the palate. Sweet, red fruits from the nose come forward more. Still some salt water taffy like candy. Some barley-like flavor, reminiscent of an Irish whiskey. More alcohol than would be expected at the proof. Reminds me of a thinner and less complicated version of Michter’s American Whiskey. Impression: It’s very drinkable, and nothing outright unpleasant about it. A higher proof would likely have helped a lot. The inclusion of a rye in the blend makes it better than most young bourbons/whiskeys. There is a market for this style of whiskey, but it isn’t us, as we tend to be biased toward higher proofs. Maybe this will give bartenders something other than Mellow Corn to ironically rave about for the time being.